What draws people to be friends is that they see the same truth. They share it. So said novelist, poet and academic C.S. Lewis. He could well have been referring to football fans. Or, despite him dying in 1963, social behaviour today. 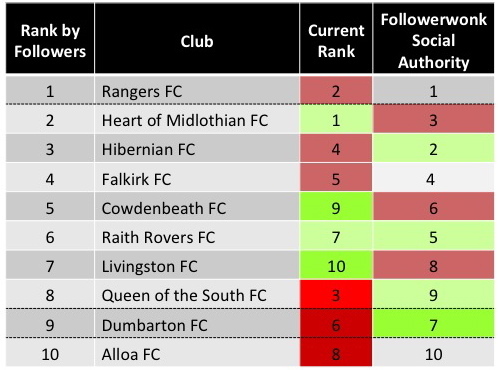 Reflecting back on the Scottish winners of The Twooties – The Twitter Footy Awards, Cowdenbeath FC and Celtic FC as the most Social Scottish Football Clubs on Twitter, the difference in followers between the two is stark. But being social isn’t about numbers of followers it’s how you engage and interact with them. But what could numbers of followers tell us about the size of a club? 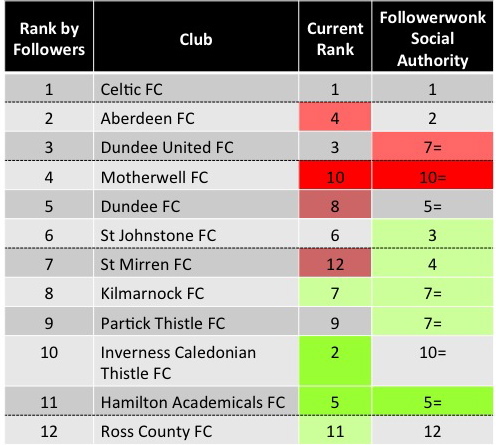 Can Twitter Follower Numbers Predict League Standing? Here’s a hypothesis: Success is more likely to be attained by bigger clubs. The bigger the club, the bigger the fan base, the bigger Twitter following. 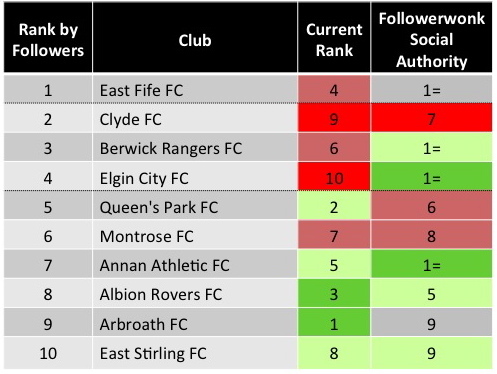 If true, clubs with the highest numbers of Twitter followers ought to be placed higher in the leagues. Right? Of course this isn’t in any way scientific, just a bit of fun. 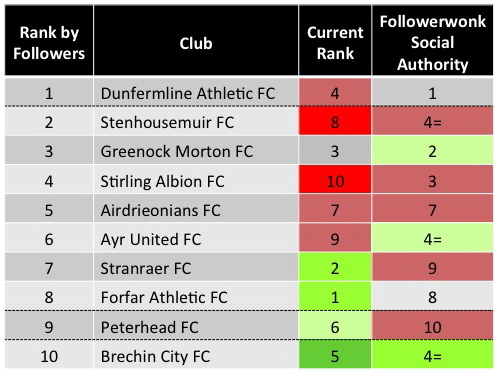 There does seem to be a stronger likelihood for how social a club is (using Followerwonk’s Social Authority Score) to more accurately determine it’s position than follower numbers. If so, this is most likely down to resources available to invest in social media engagement. The final results will be produced in May 2015 as the final whistle for the season blows. In the meantime, follow Blether and Blogger for the next installment in The Twooties series.